What is a 3D Construction Model? A design model is study model, used to visually test ideas and alternatives in a virtual environment and present them as a preliminary concept to a client or community. A building information model (BIM) is a shared information repository of the physical and functional characteristics of a building. 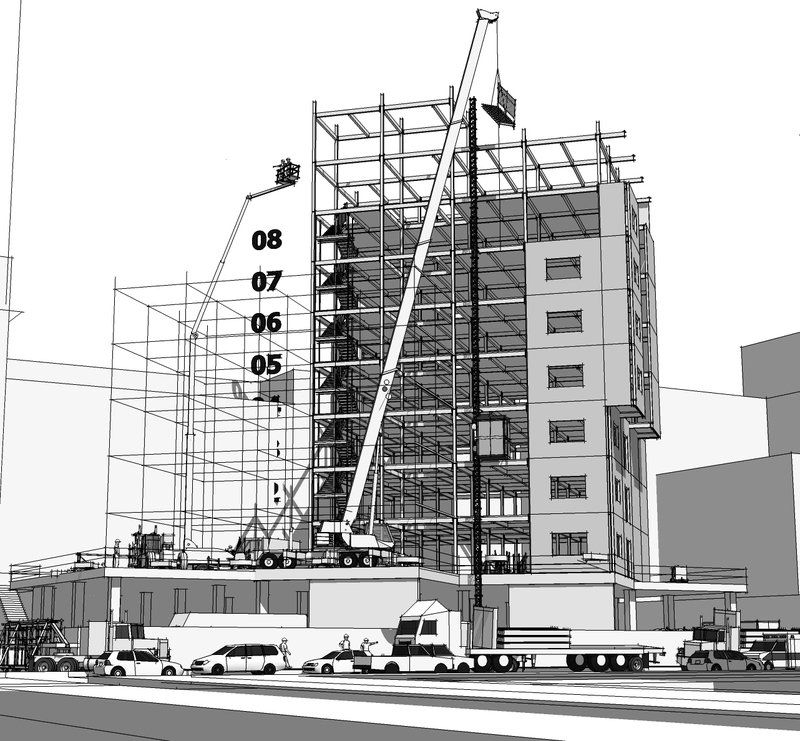 A 3D construction model is a tool used to manage construction as an often unpredictable sequence of interrelated events. The models purpose is to quickly communicate and coordinate the means and methods of an ongoing and constantly evolving process. Unlike design models or BIMs, a 3D construction model is a simple piece-based virtual assembly that includes time and sequence as deconstructible processes to visually represent means and methods. Deconstructibility and sequencing is the key to intuitively simulating and animating the construction process. Fabricate and name the pieces for construction. Build and organize the model as a sequential process. Layer the model into a work breakdown structure (WBS). Graphically communicate time as both means and methods. Use the model to define, manage, and document risks.